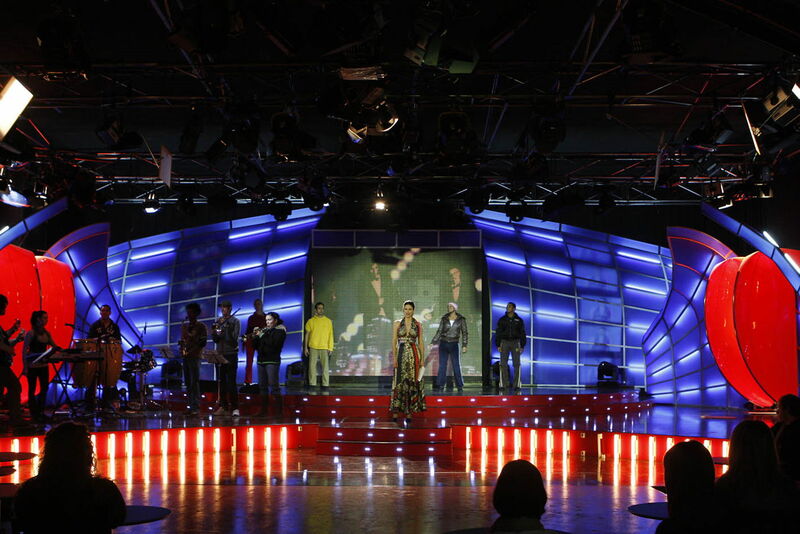 The presenter Lía Beltran ('Con 2 de azúcar') leads the program with players Alberto Rodriguez, Pedro Durán, Gloria Pidal and Joaquin Pajarón, known comedians in the channel through characters such as The Marquesina, Toño, Raikkonen, Petiso Samba Lucas and Castañon. 'La gran noche de Terapia’ combines humor space Terapia de Grupo' with interviews, musical performances, talent show and spectacle. One of the highlights is that every week they will interview someone, mainly in the music world. The first guest was singer Soraya. The space is recorded in Avilés, in the largest tv set in the region. A total of 900 square feet of recording studio staffed every Saturday with the assistance of the public and working people between 72 producers, editors, producers and publishers.